Abstract: Chronic skin lesions are an important medical health problem. Chronic skin lesions are associated with high costs for the National Health Service and reduced quality of life for the patient. The availability of means to reduce the healing time of skin ulcers is a medical and public health priority. Within this context, for patients suffering from skin ulcers, great attention has been given to the use of particular frequencies of the light spectrum that have shown beneficial effects on both ulcer cleansing and healing stimulation. 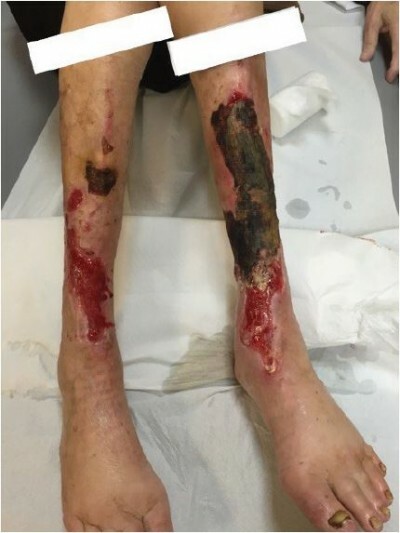 This article reports the observations made on three patients suffering from ulcers of the lower limbs who were treated with Photobiomodulation therapy using Blue Light in addition to the standard treatment at a private clinic. The results were encouraging and have prompted us to participate in a protocol of a multicenter randomized study on a significant number of patients.